Viknesh Vijayenthiran September 30, 2016 Comment Now! SUVs are all the rage right now and automakers see opportunity for even more slicing of the niche with new soft-roaders. Audi and Volvo have enjoyed some success in the luxury segment with their respective Allroad and Cross Country offerings, and there’s also Subaru with the Outback in the more mainstream segment. 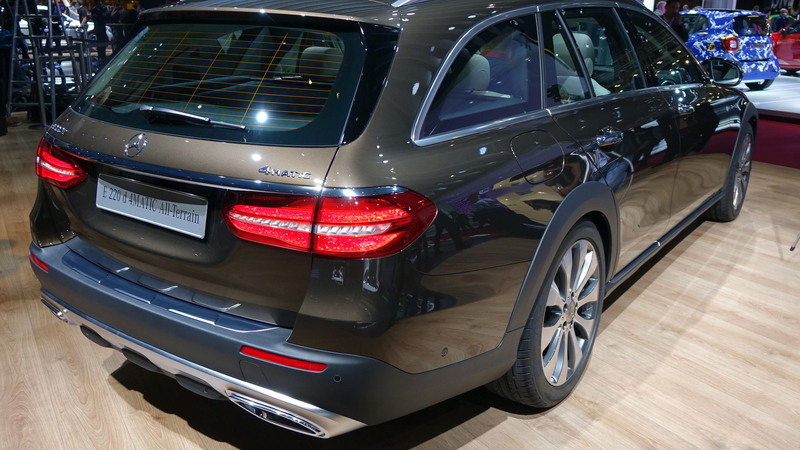 The latest to join the fray is Mercedes-Benz which unveiled a new soft-roader based on the latest-generation E-Class Wagon on Thursday at the 2016 Paris auto show. 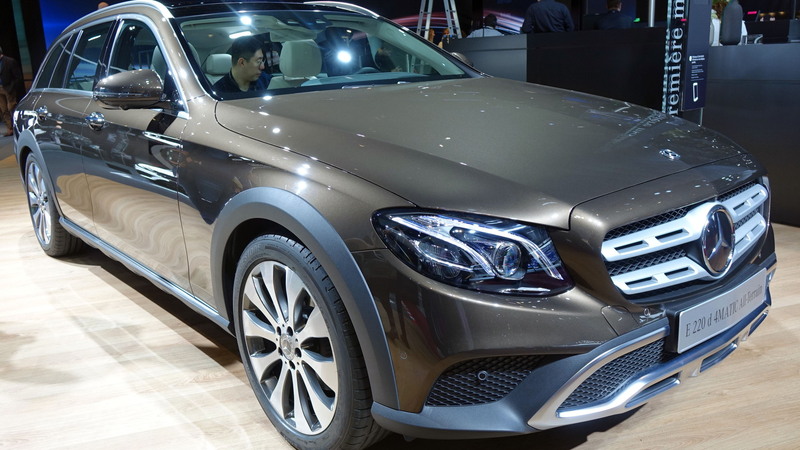 It’s called the E-Class All-Terrain and unfortunately is yet to be confirmed for sale in the United States. 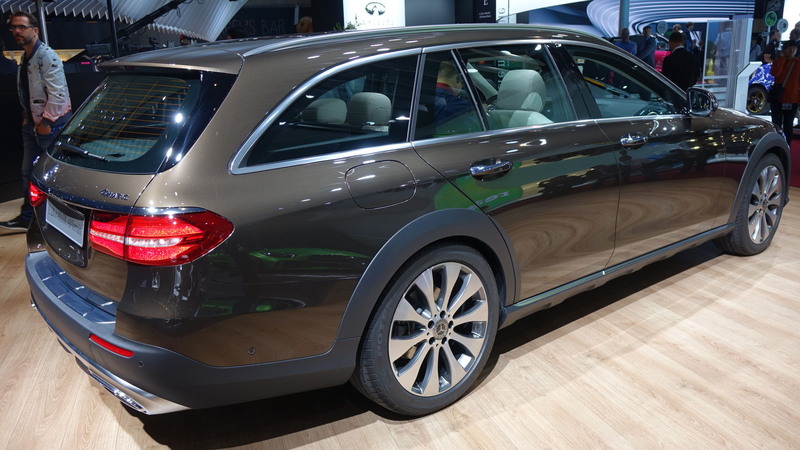 What sets the E-Class All-Terrain apart from the regular E-Class Wagon is a taller ride height (ground clearance ranges from 121-156 millimeters), standard all-wheel drive, underbody protection, and more rugged wheels and tires, all of which helps the vehicle on unpaved surfaces such as grass, mud, rocks and snow. The vehicle also comes with an “All-Terrain” setting in the driving modes selector, borrowed from the GLE SUV. This raises the body by 20 mm using the standard air suspension (up to 35 mm is possible). It also adjusts electronic settings such as the stability control, active yaw control and acceleration skid control for off-roading. At the same time, useful info such as steering angle, vehicle level, slope angle, compass directions, and accelerator/brake position are displayed in the central screen. 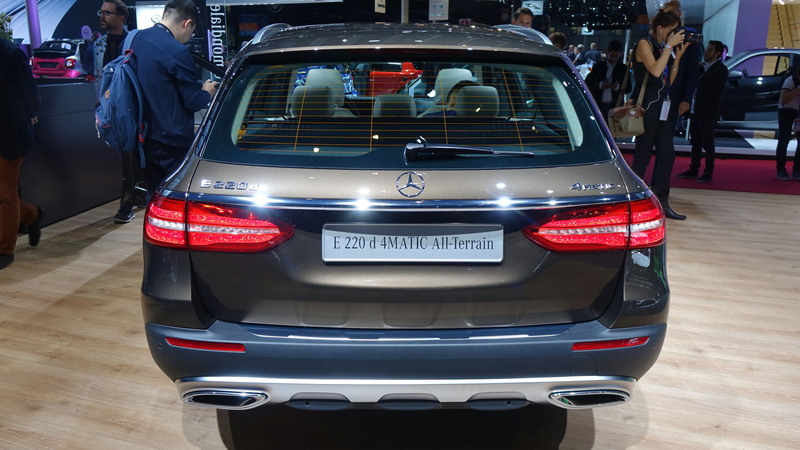 As mentioned above, Mercedes is yet to confirm whether the E-Class All-Terrain will be offered in the United States. 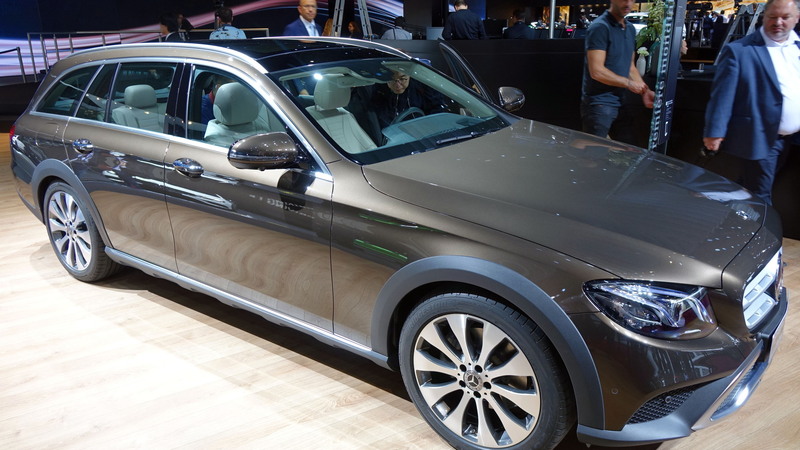 In other markets it will be in showrooms from spring 2017, where it will target Audi's A6 Allroad and the recently revealed Volvo V90 Cross Country. Just one model will be available at the market launch, in this case an E220d powered by a turbocharged 2.0-liter inline-4 diesel engine. This is paired with a 9-speed automatic transmission and delivers a peak 191 horsepower and 295 pound-feet of torque. Mercedes estimates a 0-62 mph acceleration time of 8.0 seconds and a top speed of 144 mph.